I am new to sketching from photos, and it is not my most favorite thing to do. Yet, I am trying to do some of it regularly because there is a great opportunity for planning, deliberation and practice here. 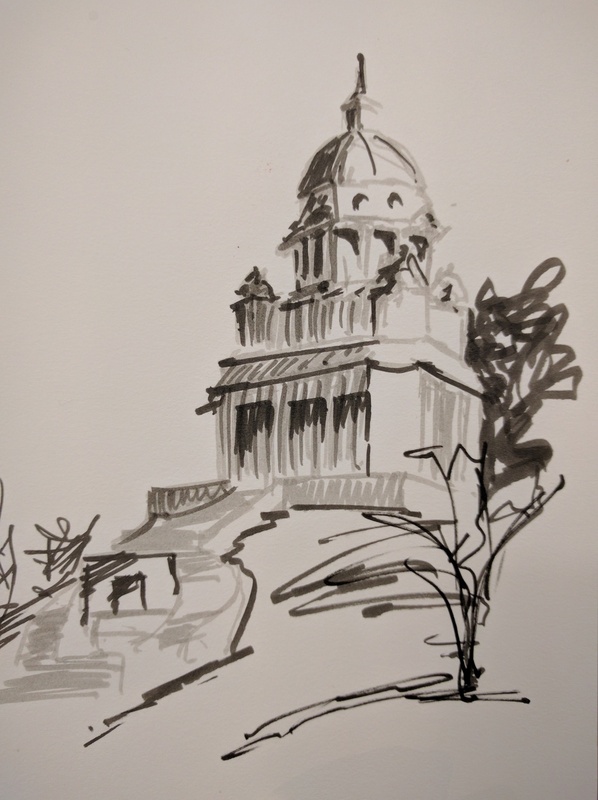 Today I attempted an architectural sketch from a photo from pmp-art.com. I stripped out a lot of the detail both from the building as well as from the surroundings and kept it simple. 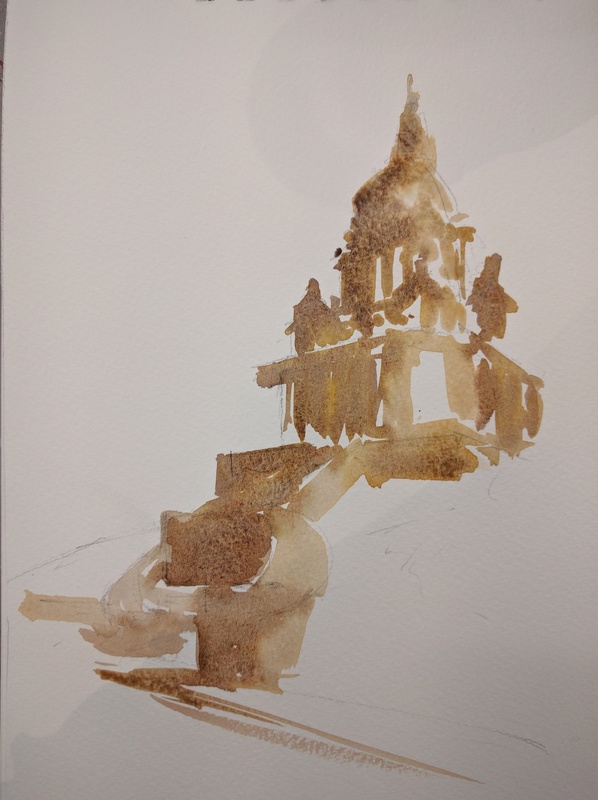 Here are a couple of pictures of thumbnail pen sketch and first wash of color. And here is the final sketch in watercolor. I kinda like it. What do you think?